OPENWORLD has been involved in the delivery of some most widely used Web and cloud applications in Africa, such as ARIS, an African Union reporting application used by all 54 member states; the Performance Management System for the Government of Kenya, automating performance contracting in the public sector; and OpenBusiness, a revolutionary cloud-based small- and medium-size business management tool. "Through her work as an entrepreneur and computer scientist, Muthoni seeks to see technology positively transforming the lives of the African society, governments and enterprises." This week saw Kenyan tech pioneer, Dorcas Muthoni, founder of Open World and creator of Open Business, sharing her thoughts on doing business in Kenya and the general lack of women in the tech sector in Africa as a whole, during a fascinating podcast interview with the Financial Times. Dorcas talked about the exciting new business opportunities in Silicon Savannah and also about how to avoid corruption in a country which has its challenges in the way that business has traditionally been done. RESTON, Va. – September 30, 2015 – Public Interest Registry — the not-for-profit manager of .org, .ngo and .ong — today announced the appointment of Dorcas Muthoni to the board of directors of nonprofit domain registrar Enset, a subsidiary organization. Muthoni, a member of the Internet Hall of Fame and CEO and founder of OPENWORLD LTD, will begin a two-year term as director this month. As part of LoA’s continuing focus on 'Women in Tech', we took time out of the busy schedule of successful Kenyan techpreneur, Dorcas Muthoni, to chat about her own entrepreneurial journey and the building of her impressive company, Open World. Dorcas Muthoni, a leading African woman entrepreneur and computer scientist and CEO and founder of OPENWORLD LTD has been inducted into the Internet Hall of Fame. Dorcas founded the software company OPENWORLD at the age of 24 and is now a leading e-Government and Business Software Services firm in the Eastern Africa region. Dorcas Muthoni was this year honoured by the World Economic Forum (WEF) as a Young Global Leader. Ms. Muthoni was the only Kenyan who made the list of 199 young fellows from 70 countries. This is a recognition of her record of professional accomplishments, commitment to society and potential to contribute to shaping the future of the world through inspiring leadership. "Rule number one, never run out of cash; rule number two, never run out of cash; rule number three, never run out of cash; rule number four, when in doubt, see the first three rules." - Dorcas Muthoni is founder and Chief Executive Officer of Openworld Ltd, a specialist computer software company she established in Kenya when she was just 24 years old. Today, Openworld is a leading e-Government and business software services firm involved in the delivery of some of the most widely used Web and Cloud applications in Africa, such as ARIS, an African Union reporting application used by all 54 member states; and the Performance Management System for the Government of Kenya, automating performance contracting in the public sector. Dorcas is passionate about using technology to positively transform African society through the lives of its ordinary people, businesses and governments and is a co-founder of the regional organization LinuxChix Africa. In 2012 Dorcas was inducted by the Internet Society into the Internet Hall of Fame. Read Dorcas's 100 Lionesses profile. 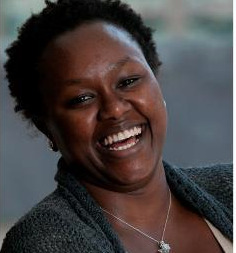 - Dorcas Muthoni is a leading Kenyan entrepreneur, computer scientist and CEO and founder of OPENWORLD. The company she founded at the age of 24 is now a leading e-Government and Business Software Services firm in the Eastern Africa region. Dorcas was inducted into the Internet Hall of Fame in 2014. “As a leader it is more important to be respected than liked." - Dorcas Muthoni, an entrepreneur and computer scientist, is the CEO and founder of OPENWORLD LTD (www.openworld.co.ke), a software company she started at the age of 24. OPENWORLD is now a leading e-Government and Business Software Services firm in the Eastern Africa region. Irine Misoi, representative for Dorcas Muthoni, gives an acceptance speech at the Internet Society's Internet Hall of Fame Induction Ceremony April 8, 2014. Speaking about her heroine, the late Professor Wangari Maathai - first African woman to win the Nobel Peace Prize in 2004. 2013, Dorcas is selected as a World Economic Forum Young Global Leader; an honour bestowed each year to recognize the most distinguished leaders from around the world under the age of 40. 2012, Dorcas is inducted by the Internet Society into the Internet Hall of Fame. 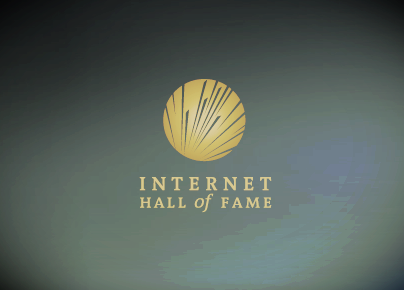 Launched by the Internet Society in 2012, the Internet Hall of Fame in its virtual museum celebrates Internet visionaries, innovators, and leaders from around the world who believed in the design and potential of an open Internet and, through their work, helped change the way we live and work today. Dorcas is awarded the honour Global Connector, recognizing individuals from around the world who have made significant contributions to the global growth and use of the internet. Dorcas has been an Internet Society (ISOC) Fellow to the Internet Engineering Task Force (IETF) and World Bank infoDev Global Forum. 2009 Dorcas is selected to the Women’s Forum Rising Talent Network, a network of highly talented women with the potential to become influential figures in the future. 2008, Dorcas wins the Anita Borg Institute for Women and Technology’s Change Agent award.